ROME, Mar 9 2015 (IPS) - In 2014, an estimated 805 million people – one in nine people worldwide – were estimated to be chronically hungry. All but 14 million of the world’s hungry live in developing countries, i.e., 791 million are in developing countries, where the share of the hungry has declined by less than half – from 23.4 per cent (1990-1992) to 13.5 per cent (2012-2014). Nutrition failures are due not only to insufficient food access, but also to poor health conditions and the high incidence of diseases such as diarrhoea, malaria, HIV/AIDS and tuberculosis. There have been significant reductions in both the estimated share and number of undernourished in most countries in South-East Asia, East Asia, Central Asia, Latin America and the Caribbean – where the target of halving the proportion of the hungry has been reached, or nearly reached. Progress in sub-Saharan Africa has been more limited, and the region now has the highest prevalence of undernourishment. West Asia has seen a rise in the share of the hungry compared to 1990-1992, while progress in South Asia and Oceania has not been sufficient to meet the MDG hunger target by 2015. In several countries, underweight (low weight-for-age) and stunting (inadequate length or height for age) persist among children, even when undernourishment is low and most people have access to sufficient food. Nutrition failures are due not only to insufficient food access, but also to poor health conditions and the high incidence of diseases such as diarrhoea, malaria, HIV/AIDS and tuberculosis. An estimated 99 million children under five years of age were underweight in 2012. This represents a fall of 38 per cent from an estimated 160 million underweight children in 1990. Yet, 15 per cent, or about one in seven, of all children under five worldwide are underweight. East Asia has led all regions with the largest decrease of underweight children between 1990 and 2012, followed by the Caucasus and Central Asia, Latin America and the Caribbean, and West Asia. While the proportion of underweight children was highest in South Asia, the region has also experienced the largest absolute decrease since 1990, contributing significantly to the global decrease over the period. Despite a modest reduction in the proportion of underweight children, Sub-Saharan Africa was the only region where the number of undernourished children increased, rising from 27 million in 1990 to 32 million in 2012. In 2013, about 17 per cent, or 98 million children under five years of age in developing countries were underweight. Underweight is most widespread in South Asia (30 per cent), followed by West Africa (21 per cent), Oceania and East Africa (both 19 per cent) and South-East Asia and Central Africa (both 16 per cent) and Southern Africa (12 per cent). Underweight prevalence was below 10 per cent in 2013 in East, Central and West Asia, North Africa and Latin America and the Caribbean. Globally, the proportion of underweight children under five years of age declined from 25 per cent to 15 per cent between 1990 and 2013. Africa experienced the smallest decrease, with underweight prevalence declining from 23 per cent in 1990 to 17 per cent in 2013, while in Asia, it fell from 32 per cent to 18 per cent, and in Latin America and the Caribbean, from 8 per cent to 3 per cent. This means Asia and Latin America and the Caribbean are likely to meet the MDG target for underweight, while Africa is likely to fall short, achieving only about half of the reduction target. And although Asia as a whole is likely to meet the MDG target, underweight rates remain very high in South Asia (30 per cent). 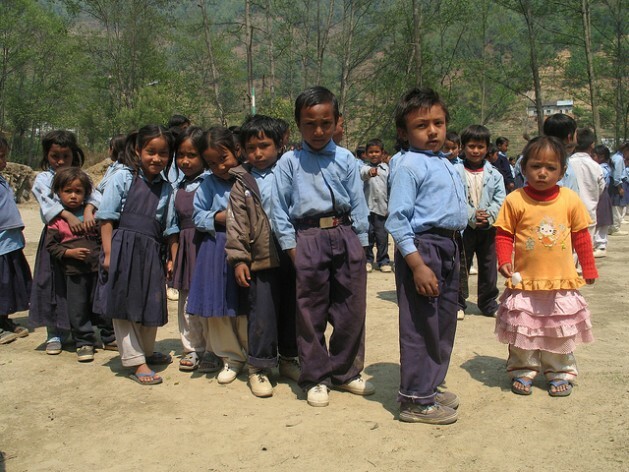 With its large, growing population, South Asia will be home to 53 million underweight children in 2013. Stunting is a better indicator than underweight for capturing the cumulative effects of child undernutrition and infection during the critical thousand day period from conception through the first two years of a child’s life. Stunting is also more common than underweight, with one in four children globally affected in 2012. Although the prevalence of stunting in children under five fell from about 40 per cent in 1990 to 25 per cent in 2012, an estimated 161 million children under five in 2014 remained at risk of diminished cognitive and physical development due to chronic undernutrition. Nearly all regions in the world have seen declines in the number of children affected by stunting. The exception is sub-Saharan Africa, where the number of stunted children increased by a third, from 44 million to 58 million between 1990 and 2012. In countries where low undernourishment coexists with high malnutrition, specially-designed nutrition-enhancing interventions may be crucial to address early childhood stunting. Improvements in nutrition generally require complementary policies, including improving health conditions, hygiene, water, sanitation and education. More sophisticated and creative approaches to coordination as well as adequate resources are needed. The Second International Conference of Nutrition in Rome in November 2014 articulated coherent bases for accelerated progress to overcome all types of malnutrition (undernourishment, micronutrient deficiencies, obesity) and defined pathways to international cooperation and support for integrated national nutrition efforts. The international community, including those in the U.N. system, must come together to improve coordination for a sustained effort against malnutrition over the next decade. But with high levels of deprivation, unemployment and underemployment continuing and likely to prevail in the world for the foreseeable future, poverty and hunger are unlikely to be overcome without the extension of universal social protection to all in need.